Everyone always knew where they could find my father. Most days he could be found in the backyard leaning on his garden hoe in a relaxed, contemplative pose. His tranquil demeanor revealed a man who appeared to be at peace with himself and the world. He maintained this even, steady temperament throughout his life, and his in- nate kindness was palpable—people sensed that about him immediately. My dad was known for his patience and never seemed to be in a hurry. For a man who was once the fastest sprinter in East Texas—and had the state track medals to prove it—he moved at his own pace regardless of the situation. He had a deep and abiding love of nature and a genuine appreciation for the land, something he acquired naturally while growing up in Groveton, Texas, a few miles northeast of Houston. Irian Vickrey was born the seventh of ten children into a family that learned the hardscrabble life of farming in their small East Texas town. His farming background was likely what had given him a genuine reverence for the natural world. At times, when I watched him leaning forward on all-fours working the soil in his flowerbeds, it seemed his pose almost resembled a meditative ritual. He once raised a wide-ranging vegetable garden, but in later years, was satisfied to tend his roses, strawberries and flowering shrubs. He carefully placed pine straw from nearby trees underneath each strawberry plant in order to prevent mildew. He gently tended the plants as if they were his children. My mother contributed to the gardening as well. She had a great fondness for flowers, and could often be seen working side-by-side with my dad, trimming and watering while he loosened the soil around the roots. Neighbors routinely stopped by to admire their handiwork. 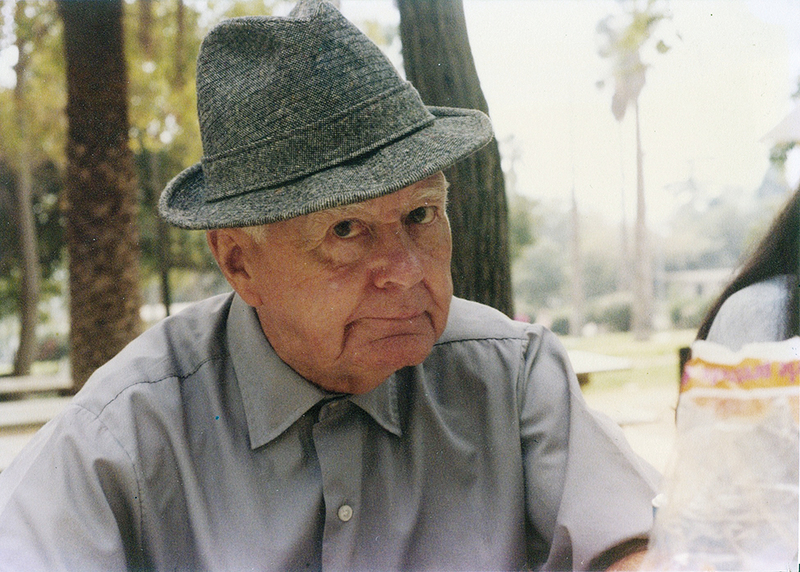 Companionship came easy for my dad—and with few wasted words. He engendered a trust that allowed friends to share the small moments of their lives with him freely and easily. He tolerated the political ranting of his youngest son, but would occasionally bring his calm and patient style to quell the uprising. I remember pontificating once about something that our President had done, and he calmly said, “Bob, he’s doing the very best he can do.” The pure innocence of his comment essentially ended my spirited rant. Perhaps that is why I yearn for his calming voice during this maddening Presidential race, in which angry and mean-spirited rhetoric is reaching near-hysterical levels. His sense of kindness and fair play would hardly be appreciated in the current political arena. During my college years, Dad helped me land a summer job in the payroll office at Armco Steel, where he had worked for so many years. I often heard tributes from his fellow employees who shared their memories of working with him, but shortly after he announced his retirement, one testimony in particular stood out above the rest. A tall, grey-haired African-American man approached me one day outside the office with his hand extended. “I’m told that you’re Mr. Vick’s son.” I nodded. With a slight crack in his voice and with misty eyes, he said, “Mr. Vick is simply the kindest man I have ever known, and I just hope you know that about your daddy.” With that, he turned and walked away. That singular moment gave significant pause to this once rebellious son, and those words have resonated with me for a lifetime.